When you have many different kinds of medications you have to take on a daily basis, it is important to keep them as organized possible. This will not only make your life easier but it will also make it safer to take your medications. There are many methods you can use to make sure your medicine is properly organized so you know exactly what you have to take, when you need to take them, and so that it is easier to remember them in the first place. Having a list of your medications and when you need to take them is very handy. You can have your meds in an unorganized pile but you will still know what you have to take. You can even go a step further and make a checklist, which allows you to check off what you have already taken for the day. This will prevent you from taking medications you have already used. There are many ways to organize your medications. You can put them in separate containers, put them in separate locations, or even get specialized packaging. However, a great way to ensure your meds are as organized as possible is to basically segregate them. Putting different medications in their own containers will make it easier for you to remember what you have to take. Many pharmacies in Palm Harbor offer specialized packaging. This is a packaging where your meds will be organized for you in their package. This can keep track of your medications completely hassle-free. When you are traveling, make sure to put your medications in their own containers. Using re-sealable baggies is a good idea as they do not take much room and are easy to transport. This means that as your stuff shifts around in transit, your medications will stay where they need to be. 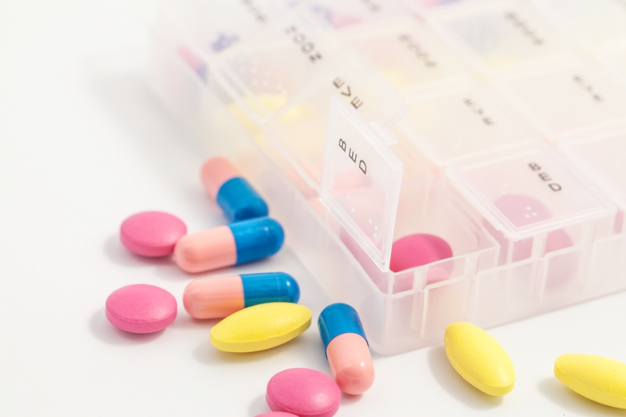 Organizing your medications is important and they can protect you from accidentally taking the wrong meds or taking medicine you have already taken. If you would like to find out more or if you are interested in learning more about St. Mary Pharmacy and the many services we are offering you, please feel free to visit our website www.stmarypharmacyrx.com today. This entry was posted in Pharmacy Services and tagged compounding pharmacy, expectations from a pharmacy, organizing medicines, pharmacy tips, specialized packaging. Bookmark the permalink.